Could Gov. Andrew Cuomo’s declaration in August that congestion pricing for New York City “is an idea whose time has come” bring needed momentum to carbon taxing? A strong thread connects congestion pricing and carbon taxes. Just as limited street space in New York warrants a congestion fee, the atmosphere’s limited capacity to absorb carbon necessitates a carbon emissions fee. Congestion pricing levies fees on vehicle travel into or within the core of a city. Singapore, London and Stockholm have deployed such fees for decades to discourage unnecessary traffic and raise revenue to improve transit and road infrastructure. I’ve been quantifying the benefits of congestion pricing for New York City city and mobilizing public support for well over a decade. The campaign I’m allied with, called Move NY, proposes tolling car and truck traffic into Manhattan’s central business district, surcharging yellow cabs and Ubers circulating within the CBD, and lowering tolls on outlying bridges that have been used as cash cows to fund transit. The governor controls the city’s mass transit, and political tradition dictates that congestion pricing legislation must run through Albany. Since Cuomo’s “August surprise” — he rebuffed the idea throughout his tenure as governor — I’ve re-directed my advocacy from carbon taxes to congestion pricing. That’s a shift in venue but not in philosophy. Both types of fees incentivize all of us who would fire up fossil fuels or occupy road space to do so sparingly. They also help bring forth investment and innovation in alternatives: renewables and efficiency in the case of carbon; transit, cycling and density in the case of urban transport. A congestion charge for New York will establish in America the foundational principle for a carbon tax: safeguarding our climate and other public goods requires that we charge for uses that damage or deplete it. Only a crisis — actual or perceived — produces real change. When that crisis occurs, the actions that are taken depend on the ideas that are lying around. That, I believe, is our basic function: to develop alternatives to existing policies, to keep them alive and available until the politically impossible becomes the politically inevitable. “Subway meltdown” images like this from NY Times in November have filled the city’s paper this year, putting pressure on Gov. Cuomo to find solutions. How has the political impossibility of congestion pricing in New York given way to an air of inevitability? As Friedman prescribed, a crisis was required. It came this year, as a twin storm of gridlocked streets and cascading subway delays. But years of concerted advocacy were required to blast through political inertia and lay the crisis at Cuomo’s doorstep. And true to Friedman’s dictum, NYC advocates for transit and livable streets have developed alternatives: the Move NY plan has dozens of elements that together can unsnarl the streets and modernize transit, as the New York Times reported last month in this profile of the “three amigos” leading the plan: traffic guru “Gridlock” Sam Schwartz, political campaigner (and CTC board chair) Alex Matthiessen, and myself. We don’t yet know if Cuomo’s congestion proposal, which is expected next month, will be strong medicine or weak tea. But as one long-term advocate said last week, the argument is no longer whether to charge a congestion price, but how much. The lesson for climate campaigners is clear: our job is to keep building the philosophical and political groundwork for carbon taxing. That way, when the seeming political impossibility of carbon taxing gives way to the aura of inevitability, the carbon tax that emerges can be robust, comprehensive and fair. Snapshot from my Excel model shows key projections for the Move NY plan. 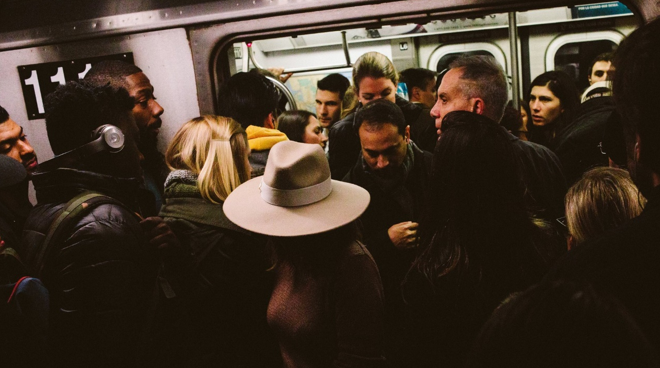 In the meantime, if you live or work in New York City or State, voice your support your city and state rep’s and urge them to support the Move NY congestion pricing plan. And don’t stop organizing, teaching and advocating for U.S. carbon taxes. Thanks for this informative and multifaceted blog piece. 1) Both involve collecting compensation for the costs of using scarce resources in ways which have negative side effects. 2) Both correct for the negative external effects of transportation. Historically, transport infrastructure was often supported and subsidized on the grounds that mobility conferred external benefits. More recently, however, external costs have come to outweigh such external benefits, and both these correctives apply to the now more often net negative side effects of transportation. 3) Carbon taxes are, for a myriad of reasons, more sorely needed and harder to achieve politically. Nevertheless, congestion pricing looks like an increasingly doable local step which, if implemented fairly and effectively, might well help pave the way (excuse the metaphor) for global action on a fairer and more sustainable pricing of carbon fuel. I would, however, caution against any inadvertent downplaying of the greater urgency of carbon taxation. On at least century-long time scales, carbon dioxide is cumulative. The climate costs of fossil fuels (the most significant of numerous negative externalities of carbon-based energy) compound over time. If congestion pricing is postponed, the task of reducing it does not then include retroactively offsetting past congestion. If effective carbon pricing is delayed, however, the budget for climatically sound carbon use is curtailed in the interim. It will never be completely “too late” for either congestion pricing or carbon taxation, but the clock works more relentlessly against the latter. I thus welcome an active and ongoing sidebar to congestion pricing, but hope that Carbon Tax will continue as the title and ultimate main focus of the website.